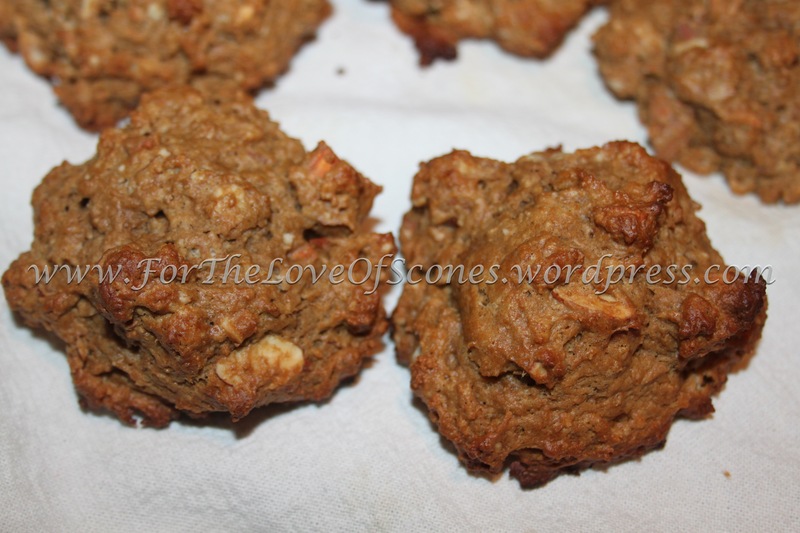 Coffee-Almond Scones. Large almond chunks, subtle coffee flavor…what’s not to love? This past Christmas, I was thrilled to receive a scone and biscuit cookbook that a) I had never heard of, and b) had a lot of good-sounding recipes. This is one that I pulled from it and adapted to better match my tastes. The cookbook itself, called “Biscuits and Scones” by Elizabeth Alston. 1) Preheat the oven to 350˚F. 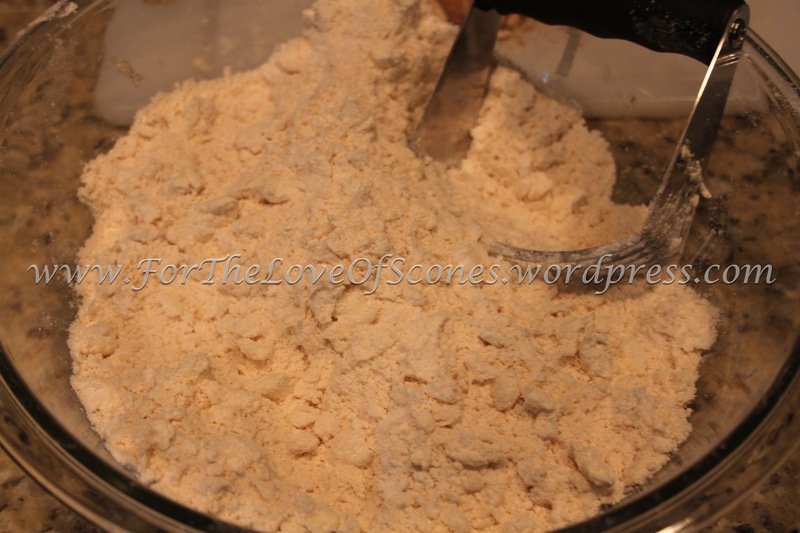 Add coffee granules and extracts to the buttermilk and mix. Set aside. 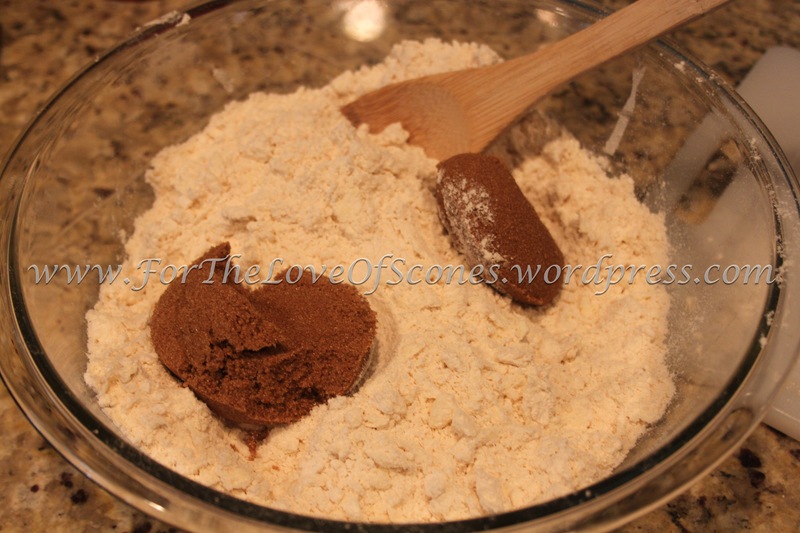 2) Combine flours, baking powder, baking soda, and salt. Whisk to mix well. 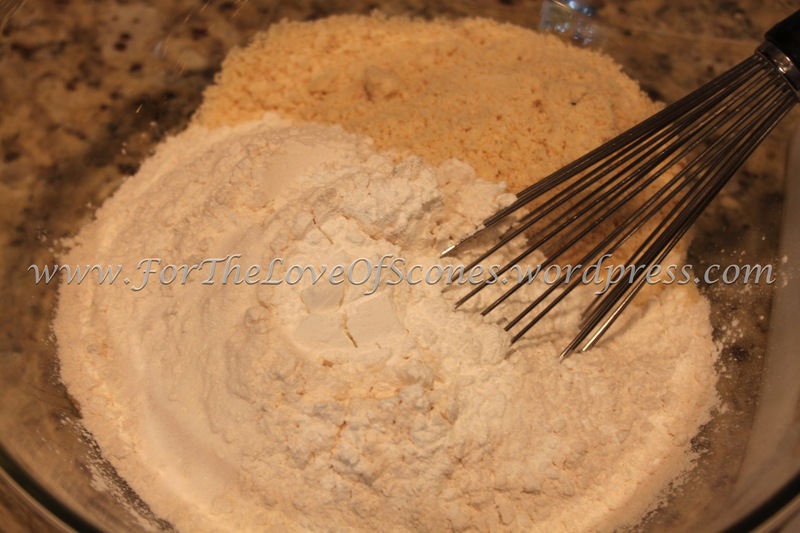 3) Add butter and work into the flour mixture with your fingertips or a pastry blender. 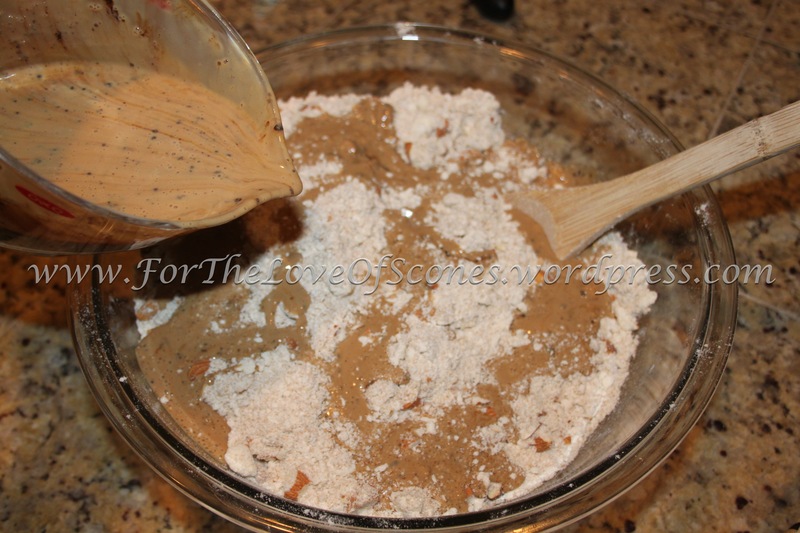 4) Add brown sugar, mix, breaking up any clumps. 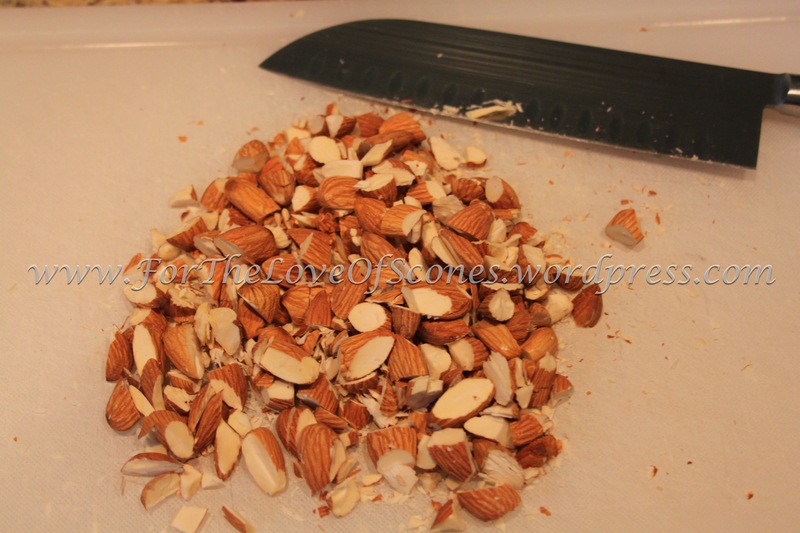 Add chopped almonds, mix with a wooden spoon. 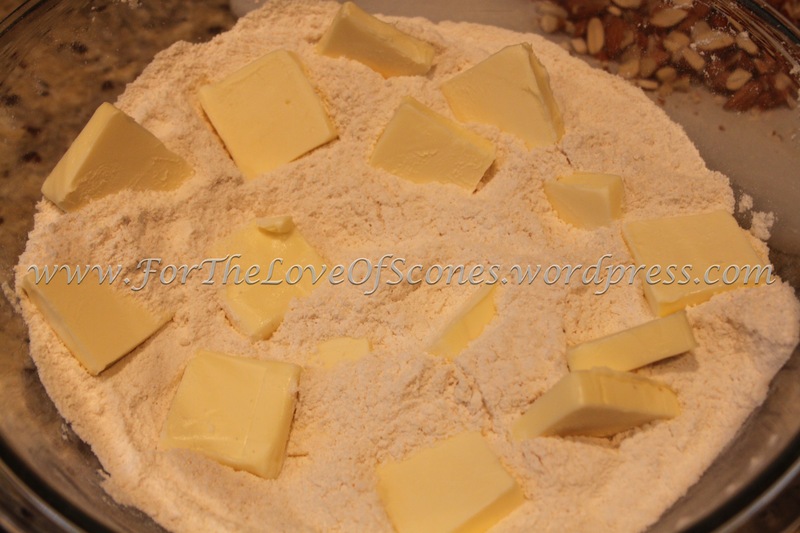 5) Add the buttermilk mixture and mix with a wooden spoon. 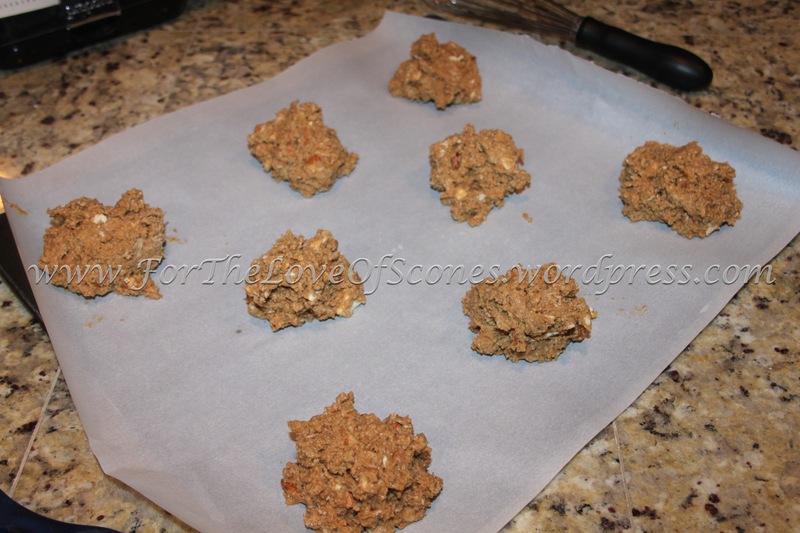 6) Scoop 1/4-cup size dollops onto a parchment-lined baking sheet. Bake 15 minutes at 350˚F. 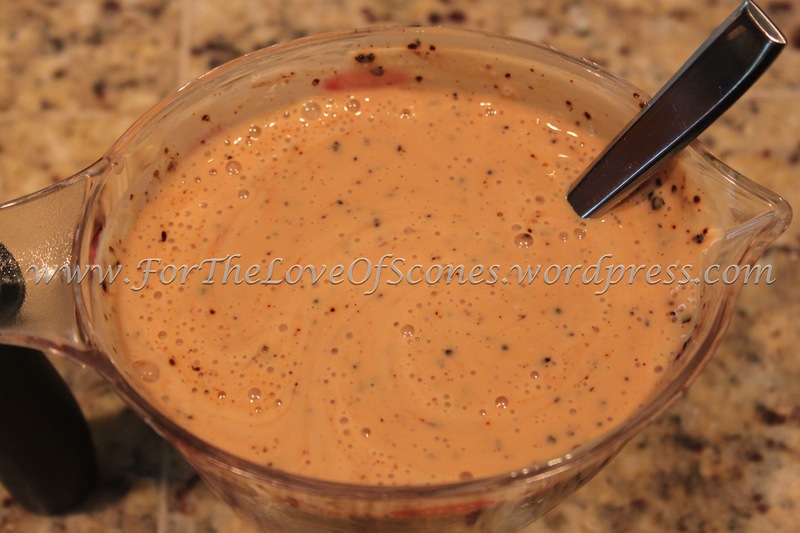 Combine the extracts, instant coffee granules, and buttermilk. Stir the coffee/buttermilk mixture to mix and set aside. 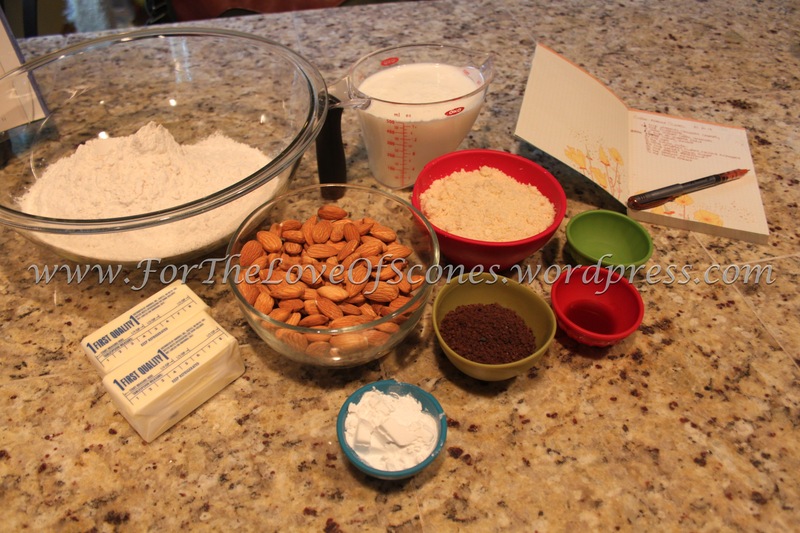 Combine the dry ingredients, flours, baking powder, baking soda, and salt. Whisk to mix. 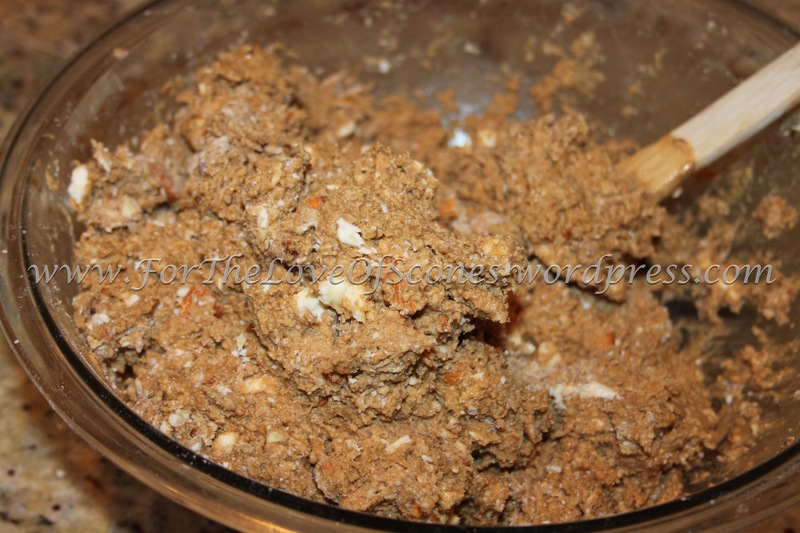 Add the chopped, chilled butter to the dry mixture. Work in the butter with a pastry blender until uniform. Some larger chunks of butter are okay. 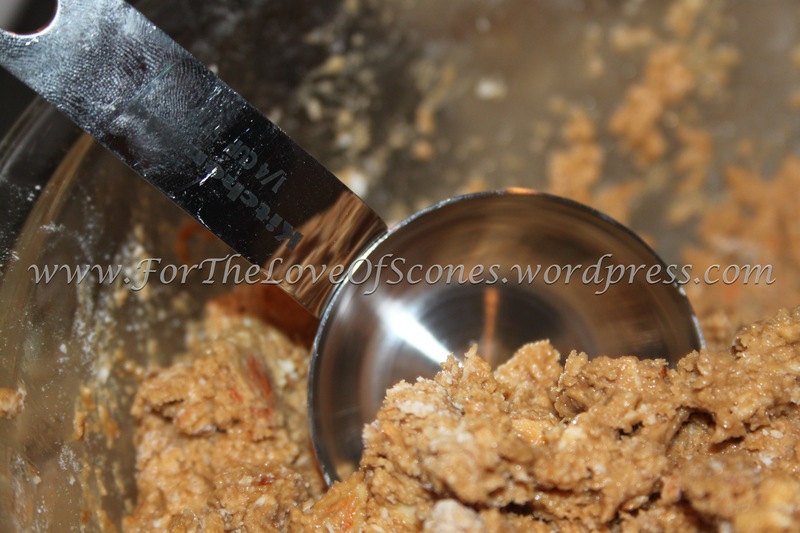 Add the brown sugar and use a wooden spoon to mix, breaking up any clumps. 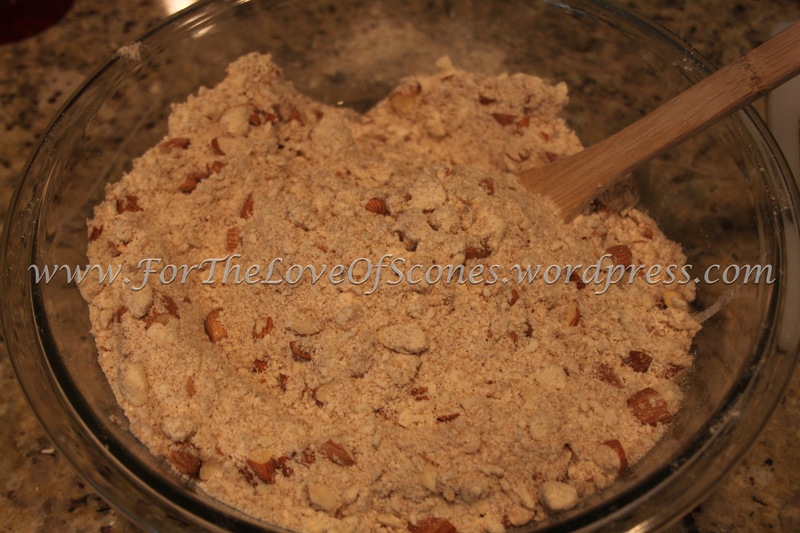 Add the chopped almonds and toss with a wooden spoon to mix. 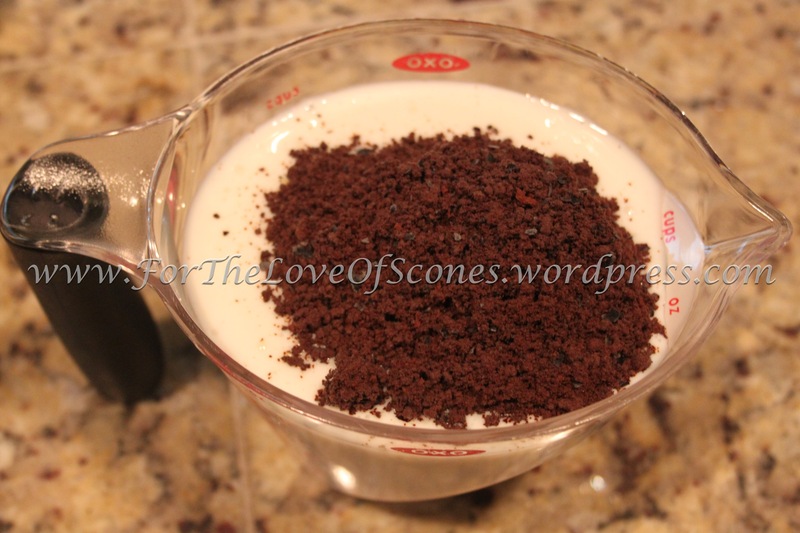 Drizzle the buttermilk-coffee mixture over the dry ingredients and mix well with a wooden spoon. You should have a slightly sticky dough after you’ve stirred in all the buttermilk-coffee mixture. Use a 1/4-cup scoop or large spoon to measure out these scones. Bake at 350˚F for about 15 minutes, or until they start to brown on top. Then remove to a towel-covered cooling rack and tuck in the scones to cool. Enjoy warm or cool, with coffee. 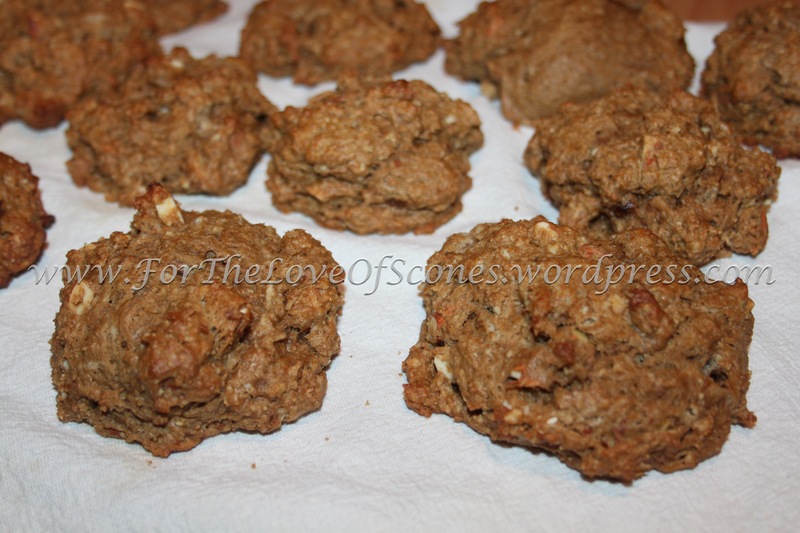 That said, my testers claimed to enjoy these scones, so they couldn’t have been all bad.